Some teachers may hate the game, but others are using it to help kids learn. Fortnite fever shows no signs of slowing down, and while many teachers and schools hate the popular battle royale video game, even going so far as to send home warnings to parents about the game, others have embraced the Fortnite craze and integrated the game into their classroom activities. 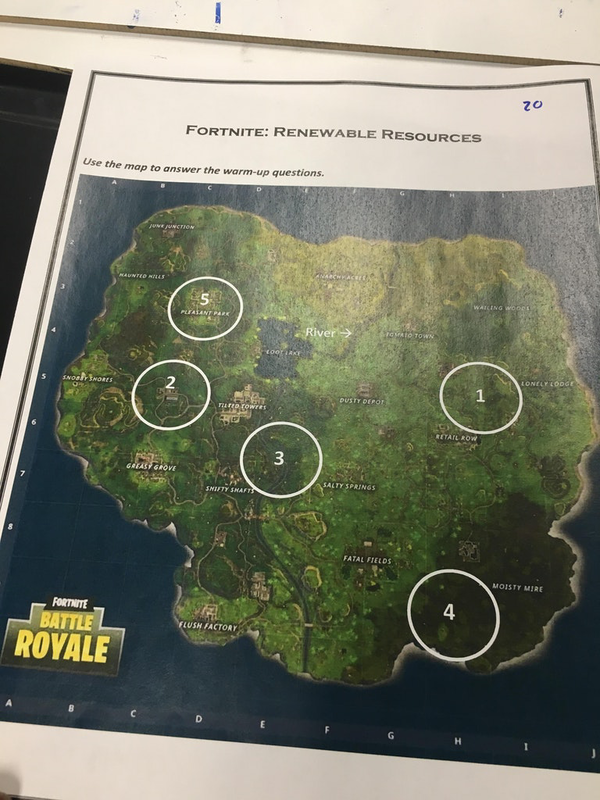 Reddit user Dallas2913 shared a picture of a map their geography teacher created to teach students how to use grid-based maps (pictured above). 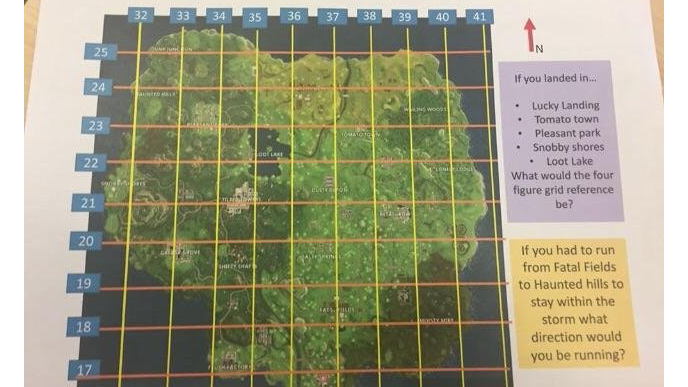 The teacher placed a grid on top of Fortnite’s in-game map, and asked students questions about how to navigate the map using the grid. Even so, Dallas said he appreciated the teacher’s attempt. Another Reddit user, TehBison, shared the Fortnite map their science teacher created to teach his students about topography. Unlike Dallas’ class, this map was met with a more positive response. Parents, have your kids’ teachers used Fortnite as a teaching tool? We’d love to hear about it in the comments below. Or, tweet at us @superparenthq.